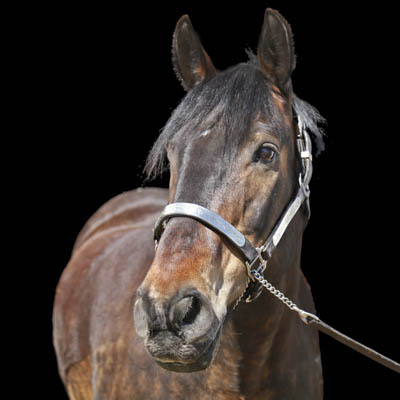 Risley is a Bay Quarter Horse X Morgan Gelding, and he stands a sturdy 14.1HH. Risley was born in 2000. Risley started service in 2013, and he is sponsored by Risley Equipment. Before he started at PARDS, Risley spent many summers trail riding in the mountains. In his early years he was used as a lesson pony. A young rider with Congenital Dislocation of the hip may benefit from riding Risley; his broad back puts the rider in a riding position with their legs far apart, which reproduces the wide leg position of the brace. The gentle rocking motion of his walk can help strengthen muscles which stabilize the joint.